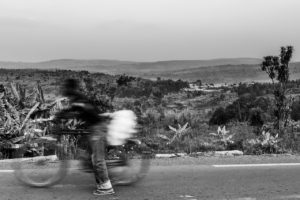 A man carries goods up the hill towards the Tutsi refugee camp, in the distance the original commune of Ruhuroro is visible where thousands of Tutsi were assembled before being killed. 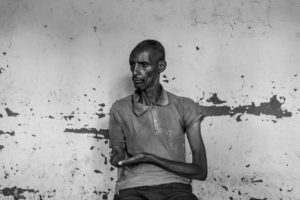 A man shows his injuries inflicted by a group of hutu men and left for dead in the forest for a week during ethnic violence in 1994. The government has stopped construction and repair of houses in the refugee camp, urging Tutsi households to reintegrate with Hutu families. 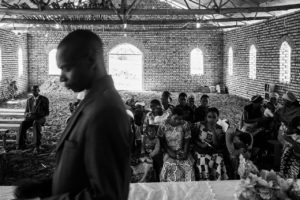 The pastor of a Hutu church in the commune prays over his congregation. 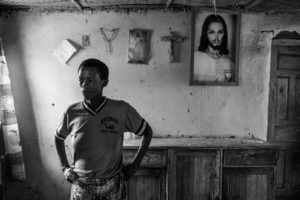 A few Tutsi have joined the church but divisions in the village still run deep. Women chat after a church service in the village centre of the Tutsi refugee camp in Ruhuroro. 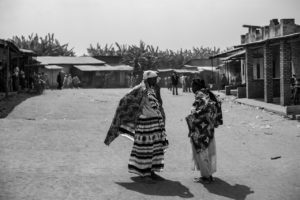 Despite attempts by government and NGOs to bring reconciliation, both tutsi and Hutu communities are still wary of each other. 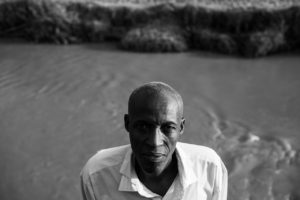 A man stands by the Buyanga river where his relatives’ bodies were disposed of during the genocide that occurred in 1993 and 1994. 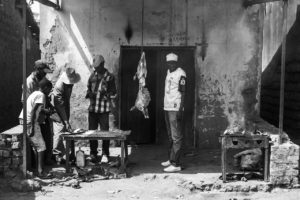 Men sell grilled goat in the Tutsi area of the Ruhuroro in central Burundi. 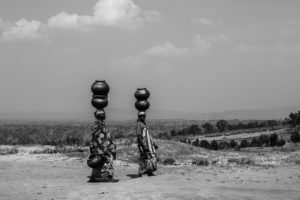 Twa women carry traditional clay urns to the market in Ruhuroro town. 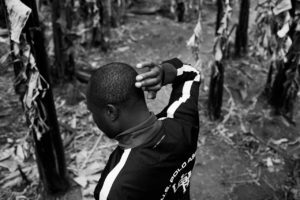 A Hutu man shows the location where a relative was killed, indicating the place on the skull where Tutsis killed his uncle with a club. A man looks over the communal land where Tutis used to live and work. 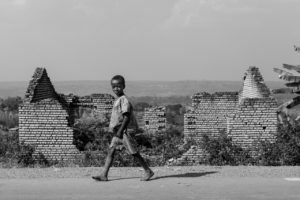 The Tutsi owned house that was destroyed has since been overtaken by local Hutu farmers. 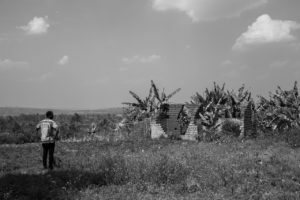 A Tutsi woman stands in her home built on communal land. She is one of a few Tutsis who have moved back to the communal land, largely for economic reasons.